He admitted courting Janine Gutierrez last month. And Rayver Cruz was seen grinning from ear to ear, as he celebrated his 28th birthday with the young actress on Friday. 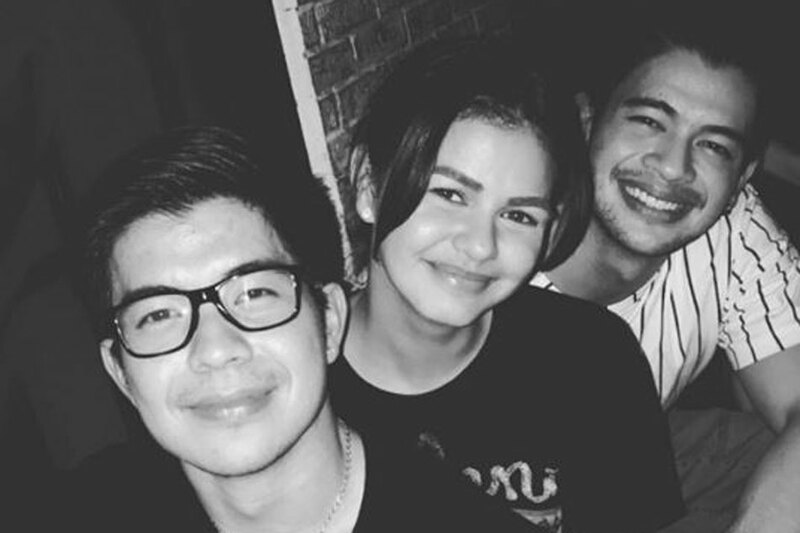 A photo of them together during the party was shared on Instagram by Cruz's brother, Rodjun. A screenshot of Rodjun's Instagram post showing Rayver and Janine together this Friday. In early June, Cruz was prodded on whether he and Gutierrez were a couple already having been seen by fans going on a movie date. "Hindi pa," he clarified, before adding: "Ligaw-ligaw pa lang, labas-labas," before adding that he doesn't want to rush things. Rumors about the two began when Cruz posted a photo of them together at a party on Instagram, which led to speculation about Gutierrez moving on from Elmo Magalona. The actress' relationship with Magalona ended last year.